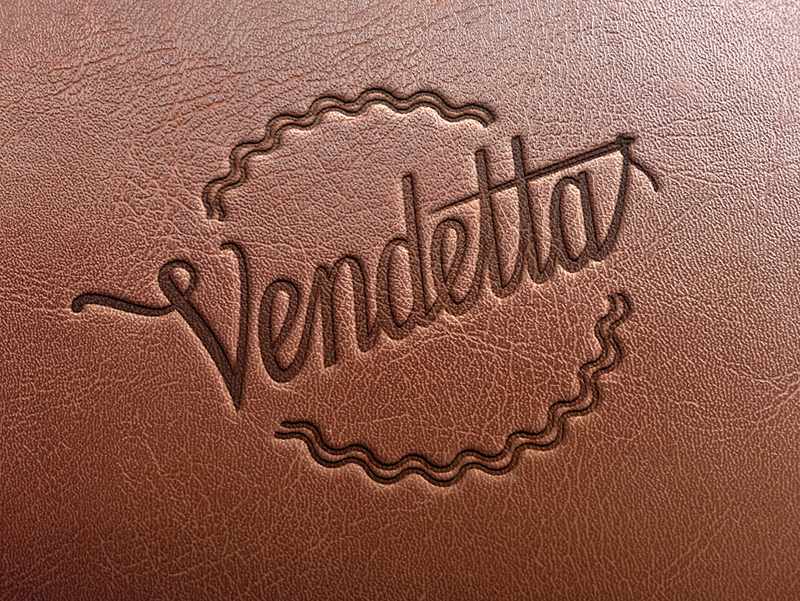 Vendetta is a brand which products are mainly purses and other leather items. The woman who started this brand, tailors everything only by hand. The project was realized while working with Mediabasket. 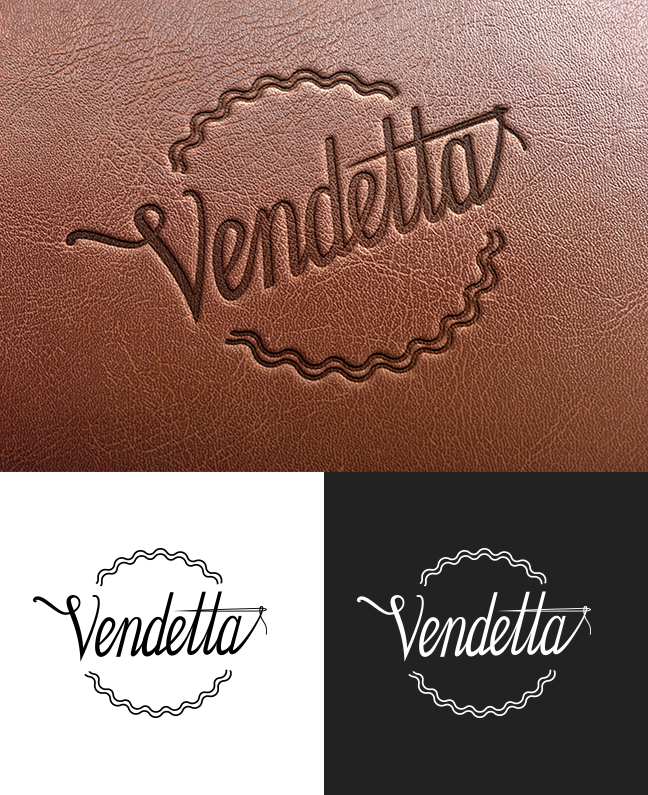 After few attempts with different wavy pattern encircling the lettering, I finally came up with this simple style. 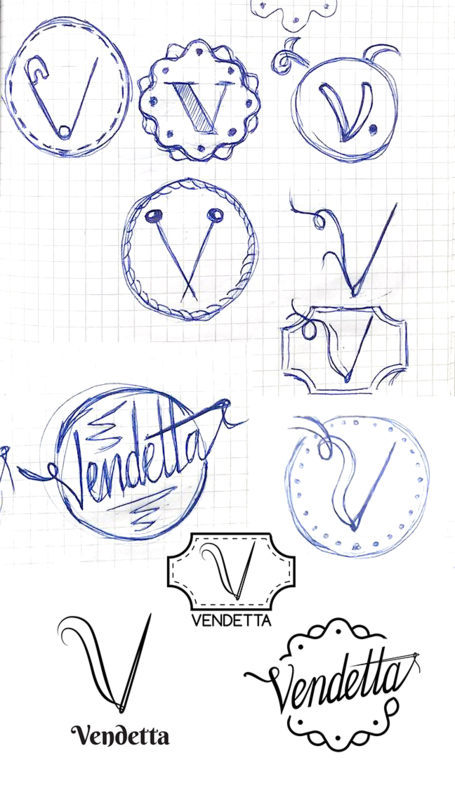 In this way the needle stands out more and get the brand message directly to the viewer.